UPDATE: This was a LIVE broadcast on location and has been edited for audio quality. Special thanks to Candance Pilgram-Simmons for allowing us to shop and talk at her All That & More Boutique. 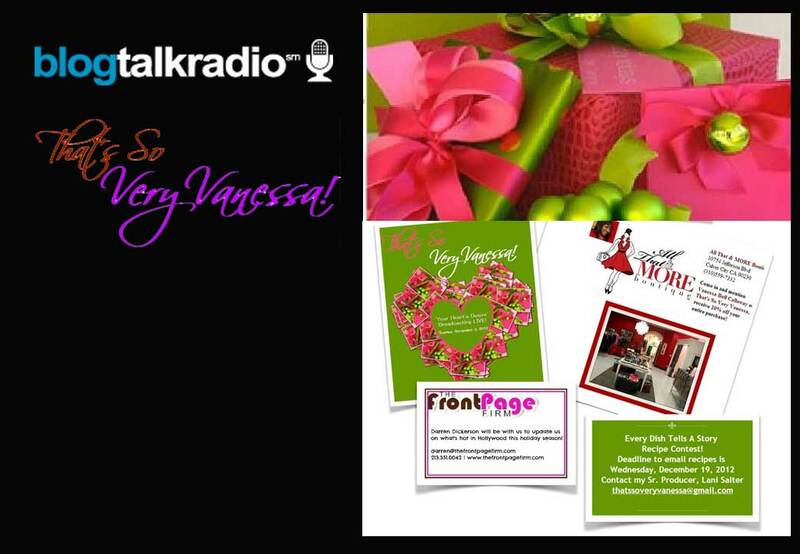 THIS Sunday I’m hosting my That’s So Very Vanessa! BlogTalk Radio Show LIVE and ON-LOCATION at my friend’s, Candance Pilgram-Simmons, All That & More Boutique. I’ll be helping you shop for YOUR HEART’S DESIRE! I would love for you to stop in and be a LIVE GUEST on my show!